Purchasing a new home is a big investment and we want to help protect it. As a homeowner, you purchase homeowner's insurance to guarantee your home's safety. As a builder, we offer a warranty to guarantee the quality of our craftsmanship and the appliances selected for your new home. Our 2-10 Warranty covers major systems and appliances and offers the benefits of security and convenience. The warranty system is included with the purchase of your new home and comes with a network of more than 10,000 pre-approved, licensed and bonded contractors. We are also proud to offer a personalized and simplistic claims process, with your choice of an online submission or a more personalized phone call. As a final perk, you don't receive a bill. 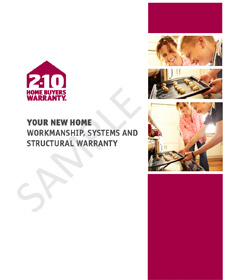 The comprehensive 2-10 HBW warranty covers most common items that require repair, including: Air Conditioning and Heating Systems that fail to maintain the manufacturers requirements, Electrical Wiring & some fixtures, Plumbing piping & some fixtures, faulty installation of your kitchen appliances such as your refrigerator, oven or stove, dishwasher, etc. See below for a comprehensive interactive view of what is covered when you purchase a Westan home. Download a full list of service providers or enjoy our quick reference below. 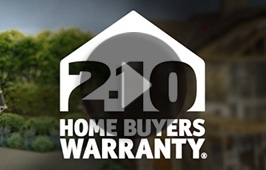 *Please contact 2-10 Home Buyers Warranty prior to contacting a service provider. Requests will be documented and qualified for coverage.